LANCASTER – Two local martial arts instructors accused of kidnapping, beating and torturing two teenagers in September must stand trial on multiple felony charges, a judge ruled Thursday (Dec. 19). 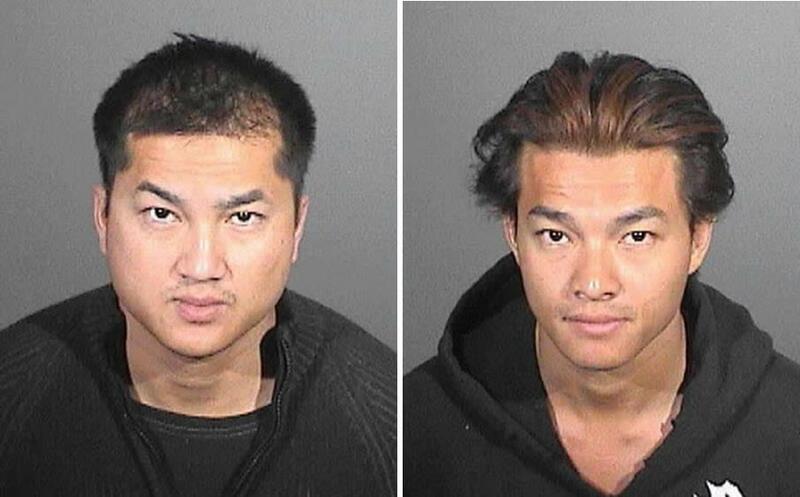 The decision came after a three-day preliminary hearing at Antelope Valley courthouse for Ston Lee, 34, and Skoth Ly, 33. 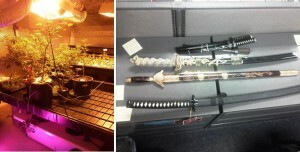 On Nov. 7, authorities served search warrants at the Ston Skoth Martial Arts Academies on 10th Street West and 45th Street West in Lancaster and recovered Samurai swords from both locations. That day, deputies detained Skoth Ly at a residence on the 44000 block of Gadsden Avenue and detained Ston Lee at a home on the 8300 block of West Avenue F, where deputies also recovered a firearm, drug paraphernalia, and a hydroponic marijuana grow. Skoth Ly and Ston Lee were booked at the Lancaster Station jail Nov. 7 on suspicion of kidnapping, assault, torture and cultivating marijuana. On Nov. 12, the brothers were each charged with two counts of kidnapping, two counts of assault by means likely to produce great bodily injury, and one count of torture. During this week’s preliminary hearing, sheriff’s detectives and one of the teen victims detailed the allegations against Ston Lee and Skoth Ly. Eighteen-year-old Adam Russell testified that Skoth Ly confronted him, chased him and threatened to kill him near the Ston Skoth Martial Arts Academy on 10th Street West. He said the incident happened in September, but he could not remember the date. Russell said he managed to get away, and as he was hiding in the bushes, he witnessed Skoth Ly take one of his friends into a white mustang and drive away. The friend, 19-year-old Harlen Luke Carter, is the second victim in the case. Carter, who is currently in county jail for violating probation, did not testify at the preliminary hearing. Detective Wilson of the Lancaster Sheriff’s Station gave testimony about an interview he conducted with Carter on Nov. 7. Carter told detectives he was beaten and “waterboarded” during the kidnap incident, Wilson testified. The day after Carter’s alleged kidnapping, Ston Lee confronted Russell outside the Mobile Link store near Avenue K and 20th Street West, according to Russell’s testimony. According to Russell’s testimony, his captors forced him to pull his shirt over his head, tied his hands behind his back and demanded answers about a break-in at the Ston Skoth Martial Arts Academy. “[Ston was] saying ‘why did you break into my gym?’ and I kept denying it,” Russell said, adding that it was the first time he’d heard about the gym break-in. During the drive, the “skinny black kid” burned him on his back with cigarettes, Russell testified. The van stopped in the desert, and he was taken out of the van and forced onto his knees, Russell testified. “I thought I was gonna die that day,” Russell said. He said Ston Lee delivered several “roundhouse kicks” to his face, and continued to accuse him of breaking into the gym. The men then put him back into the van, pulled his shirt over his head and drove him to a liquor store and then to a home garage, Russell testified. Once inside the garage, both Ston Lee and Skoth Ly kicked and punched him throughout his body for two hours straight, while demanding answers about the gym break-in, Russell testified. Near the end of the beating, Skoth Ly made him take off his shoe and placed a Samurai sword between his toes, Russell testified. “He said ‘if you tell me the truth, I won’t cut your toe off,’” Russell said. Ston Lee recorded the incident on a cell phone as Skoth Ly threatened him with the sword between his toes, Russell testified. Skoth Ly eventually cut his toe with the sword, resulting in stiches to his toe, Russell testified. After the beating, he was forced to put his shirt over his head and driven to a restaurant parking lot near 20th Street West and Avenue J, where he was tossed out of the vehicle, Russell testified. During cross-examination, defense attorneys chipped away at Russell’s credibility. Russell admitted to obtaining an “eight ball” of meth and snorting the meth in the hours before and after the alleged kidnapping. Russell said he snorted the drugs because he was stressed over a juvenile warrant for his arrest. Defense attorneys also questioned Detective Wilson, who said Russell gave a different version of events to investigators on Nov. 7. According to Wilson’s testimony, Russell told investigators he was kidnapped in a white mustang and taken to the desert, where he saw four cars, 20 people and a chair full of weapons. Russell also told detectives that two of his friends had burglarized the gym, and the day after the burglary, the friends showed him money and laptops obtained from the break-in, according to Wilson’s testimony. One of the friends, Harlen Luke Carter, is the second victim in the case. During cross-examination, Detective Wilson also testified that a woman witnessed the interaction between Ston Lee and Russell just before the alleged kidnapping. The woman, a manager at the Mobile Link store, told detectives she did not witness any violence between the two when she saw them talking, Wilson testified. “It appears Adam Russell was injured in some way, but his story is so unbelievable, he has no credibility whatsoever,” said Defense Attorney Michael Paxton in arguing a motion to dismiss the charges against Ston Lee. Skoth Ly’s attorney, Robert Nadler, also asked the court to dismiss the charges against his client. Both motions were denied, and Skoth Ly and Ston Lee were each ordered to stand trial on two counts of kidnapping, two counts of assault by means likely to produce great bodily injury, and one count of torture. Ston Lee was also held to answer on three additional charges added to the complaint on Nov. 22 – cultivation of marijuana, possession of marijuana for sales, and theft of utility services totaling more than $950. Those three charges were dismissed against Skoth Ly due to insufficient evidence. The judge denied the defense attorneys’ motion to reduce bail, and set bail for Skoth Ly at $1 million and bail for Ston Lee at $1,130,000. Both men remain jailed and are due back in court Jan. 6, 2014 for a second arraignment. 14 comments for "Kidnap, torture suspects will stand trial"
If u have a business, get an alarm. If it gets broken into, notify the police. This isn’t the movies morons. this whole thing stinks and these 2 guys are OBVIOUSLY involved with bad people -how else would they know who broke into their Martial Arts Academy? I guarantee you they are BOTH involved with meth and drugs and hang with that crowd. Those low life meth addicts are people they KNOW and deal with on a day to day basis.. thats how they knew what they had in their Martial Arts Academy and knew to burglarize it. People on meth are ESPECIALLY devious – you invite them to your home or business and they seem cool.. but in their head they are casing your place to see what they can come back and steal later.. Skoth Ly and Ston Lee have learned that lesson the hard way. HaaaaHAAAAA I think we need more ninjas like this in the av! Is anyone aware whom these other players are; the van driver? Or the black guy.which to the rumors I’ve heard was one of the last guys to be seen with the missing young lady Michelle russ. These so called disciplined men obviously aren’t what they appear. I understand wanting answers and revenge regarding their stolen items but they went WAY TOO FAR! People who snorts are likely wrong in everything. Although the situation sounds absurd , it was finding out who broke into their dojo, and making them learn next time you shouldn’t be acting immature and stealing things that aren’t yours. My case is closed. These boys kidnapped a teenager and “taught him a lesson”? For taking the law in to their own hands and going above and beyond what they should have done, maybe skoth and ston will be taught a lesson every evening for their wrong doing, “American Me” style. And the last ones to be seen with a missing girl Michelle Russ? These guys need to have a deep investigation, all of their colleagues, business partners, and mixed martial arts associates need to be investigated as well. People are [removed] clueless. These guys are dirtbags! Little do people know this tuff martial arts [removed] boy beats women and treats them like [removed]. Doesn’t support his kid and is a pathetic excuse for a man. No matter what these kids did they shouldn’t be kidnapped or messed w at all. These are grown men messing w KIDS! Like I said they’re pathetic and deserve to sit in jail. I can’t say I condone their actions, but I could understand them. From reading the article, seems to me like they beat down a meth-addict thief who broke into their dojo. Is it terrible to find the whole situation a bit hilarious? so you have empathy for the suspects, but not much for the victim, you can understand the suspects reasons for their actions but condemn the victim because he gets high. Of course the defense lawyers will do all they can to make the victims look pathetic and look like liars and maybe they will try to suggest the victims even enjoyed their torture “date” with those two guys. Even if the victim does not remember all of the facts perfectly, I doubt that he burned himself, and cut his own toe and kicked himself in the face with round kicks. If their place was broken into, did those two guys report it to the police? if not, why not? what was on the computer that was worth risking their freedom for? When you find out , publish it so the rest of us curious people can know. Finally, I notice you did not say these guys were dopers too or did they just grow weed because it is a pretty plant? have a good day …. I know right? When I hang out with him he NEVER, I mean EVER, kidnaps and tortures people. Now that ‘Anonymous’ has spoken on their behalf, hopefully the charges are dropped and we can all go back to being grown up karate instructors that smoke pot and hang out with felons in possession of a gun. Free hat! I don’t know either of the instructors, BUT I do know the victims. FYI meth heads hang out with other Meth heads…ever checked the “instructors” pupils? You must know these guys as acquaintances, there is no way that you truly know them as their true colors are coming out, and it’s ugly and so are they. I think of all the times in the blogs here, how many of us say what we would do to “whoever” broke into our homes and stole our belongings. These guys took the law into their own hands knowing that otherwise the thieves wouldn’t pay for what they did. In some parts of the world, this would be seen as an eye for and eye. They wanted their stuff back and revenge or to punish whoever took it. If the cops had caught the thieves, they would have turned them loose in a matter of days if not hours. (not the cops fault) Meantime, they are growing a couple of plants for personal use… One thing has nothing to do with the other.